Now that Matt Smith is leaving Doctor Who, what does it mean for the show? First, I'll share the press release from the BBC and then I'll list the four biggest things that will change. On Saturday BBC (BBC America) announced that lead actor Matt Smith is leaving the popular British television show Doctor Who after four years. 26-year-old Smith, the youngest incarnation of the alien time traveler, follows David Tennant and Christopher Eccleston since the cult TV series' returned in 2005. His last appearnce as the Doctor will be in the 50th anniversary episode on Saturday, November 23, 2013. It's very sad, but not surprising. Rumors have been swirling the Matt Smith is leaving Doctor Who since early this year. "Having Steven Moffat as show runner write such varied, funny, mind bending and brilliant scripts has been one of the greatest and most rewarding challenges of my career. It's been a privilege and a treat to work with Steven, he's a good friend and will continue to shape a brilliant world for the Doctor. Steven Moffat, lead writer and executive producer, says : "Every day, on every episode, in every set of rushes, Matt Smith surprised me: the way he'd turn a line, or spin on his heels, or make something funny, or out of nowhere make me cry, I just never knew what was coming next. The Doctor can be clown and hero, often at the same time, and Matt rose to both challenges magnificently. And even better than that, given the pressures of this extraordinary show, he is one of the nicest and hardest-working people I have ever had the privilege of knowing. Whatever we threw at him - sometimes literally - his behaviour was always worthy of the Doctor. Jenna Coleman, adds: "I could not have imagined coming into the show without Matt as my Doctor, holding my hand, really, quite literally. I totally lucked-out in having a creative, generous, clever, and lovely fella to work alongside day after day. "I feel so privileged to have been part of Matt's reign, to have to been companion to what is and what I think always will be one of our greatest Doctors. "He is so in love with the show, he works tirelessly hard, surprises me every day, always creating and discovering something new about the Doctor. A true gent, a leading man and a very special friend. I know it will be a very difficult goodbye for me, but I for one can't wait to see where his career takes him next. And of course with the same welcome I was brought in with, I look forward to welcoming the next Doctor. BUT it's not over till it's over. See ya at the big 5-0!" In Doctor Who history it's been said that the Doctor can regenerate after being mortally wounded into a new physical form with a slightly different personality. In The Deadly Assassin (1976) they said that a Time Lord can only regenerate twelve times before dying, not including his first form. They have to break this rule now that Smith is leaving. The Master has broken the regeneration barrier and the season finale showed John Hurt as "The Doctor" so the stage is set for this. Dave Thompson author of Doctor Who FAQ: All Thats Left to Know About the Most Famous Time Lord in the Universe told Gazette that with all the Time Lords dead all the rules are off and the regeneration barrier is lifted. With Smith leaving that should finally confirm that the regeneration limit is gone. While Smith wore a bow tie, I doubt the next Doctor will keep it. "Bow ties are cool," but we won't see them again. Matt Smith was the first Doctor to show a romantic side to his personality. He was flirtatious and loving with his wife River Song. Will the next actor show that side of his personality? Only time will tell. 4. Will the Show Have Diversity? There has been a lot of criticism from fans about the lack of diversity on Doctor Who. One group went so far as to say the show is "thunderingly racist" for not having ethnic diversity on the show and making black characters into stereotypes or comedy relief. Others have said the time is right for a female Doctor. They could break from tradition and cast an ethnic or female actor to play the Doctor. What do you think? Will you miss Matt Smith? What do you think will change for the show when he's gone? Who do you think they should cast as the new Doctor? I don't watch the show, but they've been through so many doctors that I don't think it will hurt it any. I will guess that it will be someone who's never been in my kitchen. Though if it were someone who's been in my kitchen that would awesome. 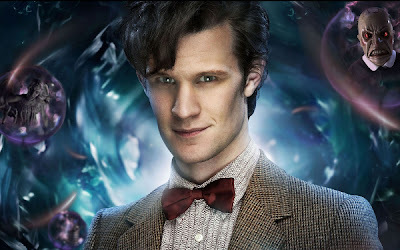 Matt Smith is the 11th Doctor so has regenerated 10 times - still two Doctors left. The Master found a way to bypass the regeneration limit but only by possessing the body of a human, so this is unlikely given the Doctor is usually such a nice man. There are however three so-far unexplained Doctors: the John Hurt doctor, the Valeyard and (I'm pushing it a bit here) Peter Cushing's Doctor from the two Dalek films. Peter Cushing's Doctor was Dr. Who he was a human that created a time machine. It is not Canon therefore no tie in. You do bring a good point about Hurt & the Valeyard. My wife is devastated she did not grow up watching Doctor Who. I try to explain that this is natural, and that it has happened several times before she refuses to accept that Matt is leaving. I think she has a crush. I love his portrayal as the Doctor, but he must go so I can enjoy the show without my wife asking about him and River Song! On a Different note, I would love to see a different ethnicity, but the gender swap is too much. Just bring Romanadvoratrelundar or The Rani back. So long and thanks for all the fish and custard! Yes I do remember that about the Peter Cushing films - also, both films re-tell serials from the original series so don't fit into it. I said I was pushing it ;) I wonder though, does the regeneration limit apply if you happen to be half-human on your mother's side? I recently saw an old Tom Baker on a different show. That was fun. some of these actors will never get the notoriety for playing the famed doctor, it will help them move forward as long as they don't forget that it really came from a little police box from the universe. Don't shoot me, but I've only seen one episode of Dr. Who and it was back in the mid-80's while stuck in a hotel room. All I remember is he had curly hair. Its hard to believe the Tardis is over 900 years old. Its the reason why Dr who survived the great time war. The show must go on and it will. Benedict Cumberbatch would be awesome. 4th Doctor Tom Baker My Fave. Many consider him the best Doctor, you've seen the best L. Diane! He would be a great Doctor Spacerguy. Dark like Colin Baker. 1) I love what Matt did with the Doctor. It'll be hard to see him go but he was absolutely brilliant. Changed a lot of minds, especially mine. I'm sad though that he's leaving just as Clara came on, 'cause that's when he really came into his own as the Doctor. Let's face it, the first few seasons were "The Ponds". 2) I am black, and while the idea of a black Doctor is a good one, I just don't know who would do that well (save Paterson Joseph... I was pulling for that one). 3) The only female Doctor I'd like to see brought back is Donna Noble. Or, anyone know where Jenny is?! 4) I honestly don't think John Hurt will be the next Doctor. His presence will no doubt be explored but he won't be headlining. Cumberbatch is already awesome as Sherlock. A tie-in would be awesome but I wouldn't want him to leave his show. I would LOVE to see Romana come back!! The TARDIS is a LOT more than 900 years old. The Doctor is now over a thousand and the TARDIS was ancient when he stole her (and she stole him). I'd love to finally see a female Doctor. This Doctor wasn't the first to show romantic tendencies though - The Doctor and Rose??? That was a love story for sure. Not sure what will happen with the direction of Doctor Who but will be interested to see if they can bring it back to the version I adored. I'll bet the R&D guys are mad. It took them years to make the flavor edible. Black characters are "stereotypes and comic relief"??? For starters, apparently someone missed all of season 3. Freema Agyeman was far from either of those things. I'm guessing they quit around season 2, since they also missed the change in Mickey. I like the theory that Hurt's character was the Doctor just before Eccleston, and he's the one that killed the rest of the Time Lords in the Time War. We might just find out that Eccleston's Doctor was anguished and furious not only because of the loss of his race, but because of his predecessor's actions. Seriously if they give in and make a minority doctor just because of criticism they sold out........not to mention it would be unbelievable if he had to go back in time say do a 1800's scene.......... unless they are willing to make it realistic and make him a slave on the run. But who cares about story its all about pressure from critics. In volume one we briefly met Naota's friends in school rolex submariner replica. They are a girl and two boys: Ninamori Eri, Manabe Gaku and Masamune Masashi. Their characters have not been developed yet, but we see a hint of jealousy from Nimamori in the louis vuitton outlet opening scenes of this volume two. This is after these three see Mamimi and Naota talking outside of school in the morning. Here we see that Naota is sporting a hat. It doesn't take long to find out why he is wearing it. "Nurse" Haruko diagnoses, with the help of the robot who is now living in the Namdaba household, that Naota's hermes outlet brains are missing (that's right! ).